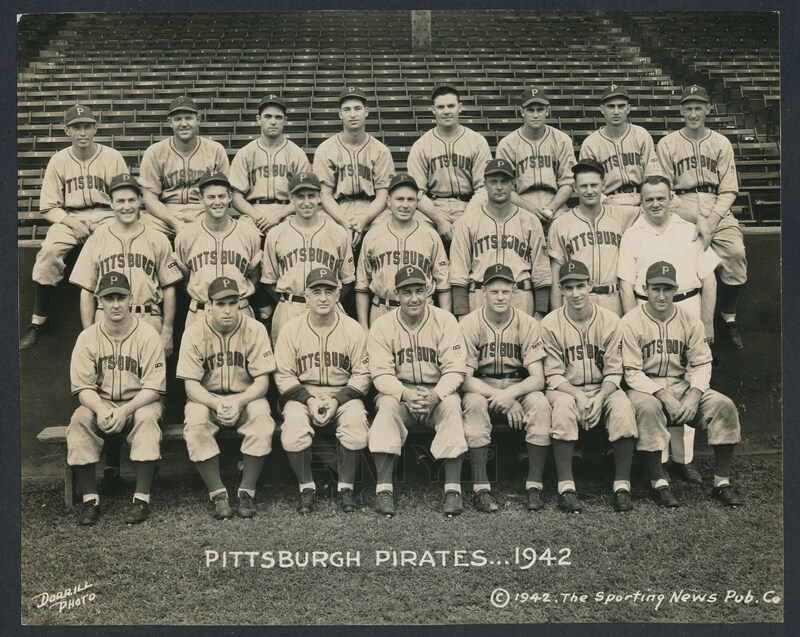 1942 Silver gelatin team photograph of the Pittsburgh Pirates in uniform. 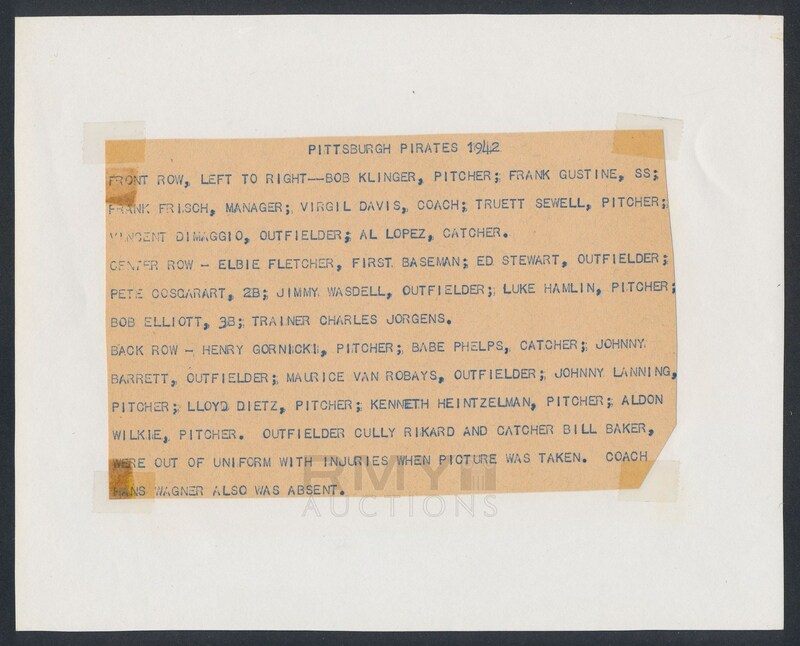 Like most clubs of the era, they were feeling the pinch of WWII and most of their stars were gone, making this a tough photo find as paper was also being conserved! Taken by George Dorrill and a perfect 10/10!